Rhode Island this week expanded legalized sports betting, paving the way for gamblers to make wagers online. The move by Rhode Island caught the attention of Connecticut lawmakers, who are struggling over how to implement gambling in their state. Several Connecticut Democrats said Wednesday they did not want to follow Rhode Island’s incremental strategy of first authorizing sports betting and then moving it online, although such a move might ease concerns about inflaming gambling addictions with the immediacy of internet betting. Unlike Rhode Island’s commercial casinos, Connecticut’s casinos Foxwoods and Mohegan Sun are run by the Mashantucket Pequot and Mohegan tribes under a 1992 compact with the state that trades exclusivity for a cut of the revenue. Tribal leaders told legislators in February they believe sports wagering is their exclusive right under the compact. They are also in ongoing negotiations with the governor over several gambling issues. Sen. Cathy Osten, D-Sprague, whose district includes the tribal nations, said Wednesday she would support online sports betting as long as it includes the tribes. “I think we should do whatever we can to keep up with our surrounding states so we can be competitive,” Osten said. Rep. Fred Camillo, R-Greenwich, who sits on the committee, said illegal sports wagering is happening now in Connecticut, so he supports legalizing it. “As long we put aside money to fund addiction counseling services, I think it is okay,” he said. Taxes on sports bets can be a source of revenue for the state. Rhode Island’s proposed budget for the fiscal year that begins July 1 includes $30 million from sports betting, including $3 million from mobile gambling. New Jersey, which legalized sports betting in June, offers licenses to casinos and racetracks, who can run multiple sportsbooks online and partner with external brands. The state collected $12.7 million from sports betting in February alone, the New Jersey attorney general’s office announced Wednesday. Four times the amount of money wagered at New Jersey retail locations was bet online in the state, data shows. 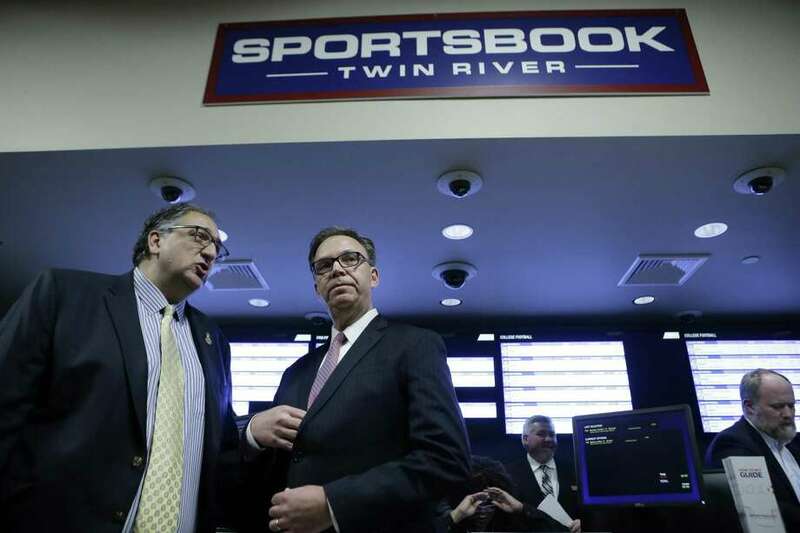 Ted Taylor, CEO of New Haven-based gambling company Sportech, said he’d prefer a New Jersey-style model in Connecticut over Rhode Island’s more limited betting plan, so consumers would have access to numerous sportsbooks. “Connecticut might be slightly better served doing it differently to make sure that there is sufficient competition,” Taylor said, although he’d love exclusive market access he added. In Rhode Island, sports betting is regulated by the Lottery, although bets are placed at the casinos. Gaming firm IGT is the state’s sports betting service provider. On Friday, IGT and sports betting vendors Scientific Games, Intralot and Neopollard will present their services to some lawmakers and state officials at the Connecticut Lottery headquarters. The Connecticut Lottery hopes to facilitate sports betting, not unlike the Rhode Island Lottery, and one bill before the legislature would give the Lottery that right. “The best way to bring all of sports betting into the sunlight is to offer it online as well as in retail,” said Greg Smith, CEO of the Connecticut Lottery.